We recently worked with an app development team, adding a boost to their in-house development capacity who were working on adding new features to their fun location-based game. The team already had a strong foundation in place with an existing API in place, an app launched to market, and a roadmap of future features. 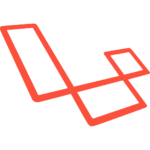 The project saw us working with their app developer to add a number of new features to their existing API, which is based on Laravel, a modern, expressive PHP framework. technical design – planning how endpoints would change, or be introduced along with the app developers to ensure that the API would deliver what was required. This also entailed ensuring that changes were made in a backwards compatible fashion. documentation and handover of changes to the in-house development team.